Lock in a great price for Pension Wiesental – rated 8.4 by recent guests! Charming welcome, very flexible and also detailed description of the facilities. Easy going host with the best interest of his guests at heart. Hotel in the middle of nowhere with shared kitchen with enough space for your food and drinks. Great place for a nice weekend get away with your best buddies for a nice hike with stay over. The owner is very friendly and provided me with helpful and interesting information. The pension was fine for my purposes, a value-for-the-money, two-evening stay for a continuing ed course in Bad Nauheim. Apartment owner is very friendly and gives good introduction to facilities. Extremely good value for money. Free Wifi. Only reachable by car. I can recommend to stay there. schöne Umgebung, individueller Aufenthalt, Gastgeber freundlich, sehr persönlicher Empfang, gute Kommunikation, hilfsbereit. einfach angenehm. Fantastisch! Sehr freundlicher Empfang. Die Unterkunft ist klasse. Überaus freundlicher familiärer Empfang. Hunde sind sehr gerne gesehen. Mein Zimmer war sehr gross und gemütlich mit viel Holz. Das Badezimer ist sehr gemütlich, und die Gemeinschaftsküche ist hervorragend ausgestattet. Jörn hat uns die besten Bratwürste zubereitet, die ich je gegessen habe. Ausgestattete Gemeinschaftsküche mit top Kaffeeautomat. Preis/Leistungsverhältnis. Freundlicher Empfang durch den Gastgeber. 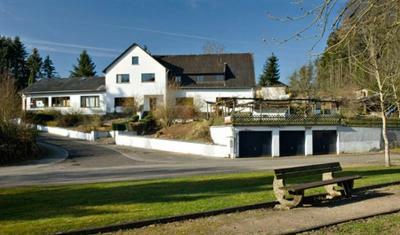 Offering free WiFi, Pension Wiesental is located in Wiesental. At the guesthouse, the rooms are equipped with a closet. All rooms have a shared bathroom. Frankfurt is 28 miles from Pension Wiesental. The nearest airport is Frankfurt Airport, 32 miles from the accommodation. 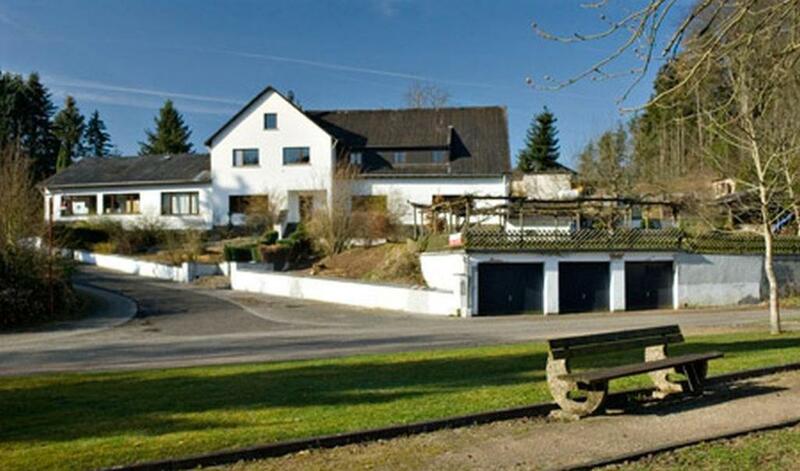 This property also has one of the top-rated locations in Wiesental! Guests are happier about it compared to other properties in the area. This property is also rated for the best value in Wiesental! Guests are getting more for their money when compared to other properties in this city. When would you like to stay at Pension Wiesental? This twin/double room has a sofa. This single room comes with a shared bathroom. House Rules Pension Wiesental takes special requests – add in the next step! Please note that arrival outside of the regular check-in hours is not possible. Please contact the property for further information. Please inform Pension Wiesental of your expected arrival time in advance. You can use the Special Requests box when booking, or contact the property directly using the contact details in your confirmation.